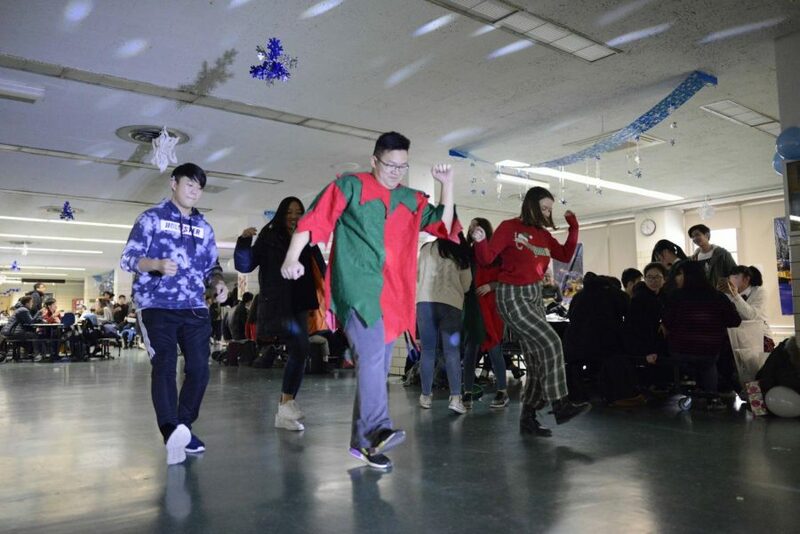 Students get on the dance floor and perform a dance routine during the Winter Wonderland festivities. It is that time of the year when we put on our big, heavy winter jackets and drink sweet, warm hot chocolate. As the temperatures gradually drop below zero, the mountain load of stress also piles up. 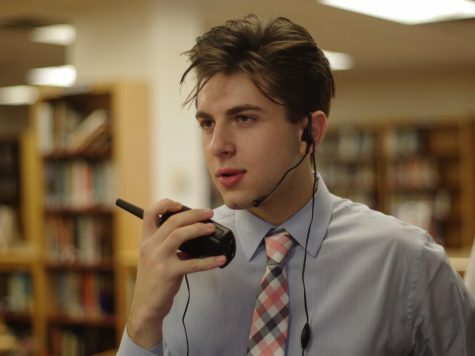 To many, this is the inevitable reality of attending Bronx Science. 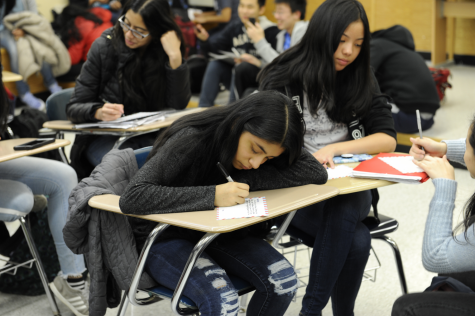 However, to allow students some relief in this stressful time, Bronx Science hosted its annual Winter Wonderland filled with interactive activities for the students. The Winter Wonderland, one of the oldest events at Bronx Science, was held this school year on Thursday, December 20th, 2018. 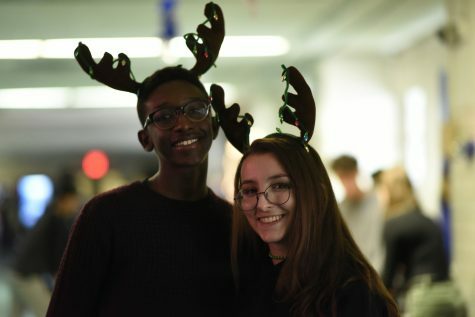 Originally, the Winter Wonderland was an evening dance hosted at school, but now, the Student Organization hosts the event during lunch periods to give more students a chance to attend. The S.O.’s main objective is to allow the student body to enjoy themselves and celebrate together as the end of the year approaches. 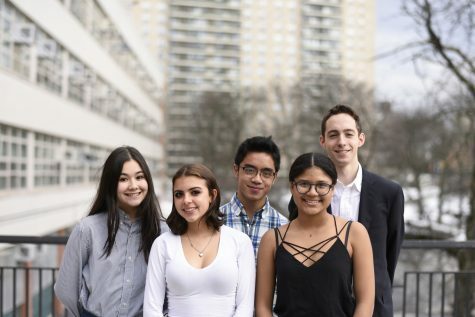 To promote inclusion of the diverse student body, the S.O. decided to give it a name without reference to any religious holiday, the Winter Wonderland. 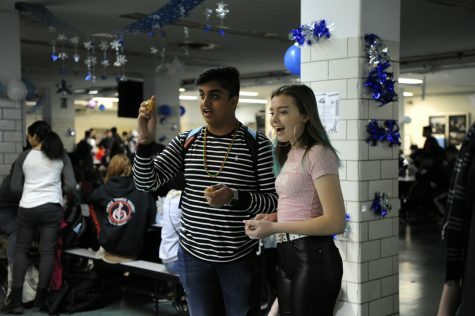 Anuj Phophaliya ’20 and Alea Strasser ’20 play one of the many activities on offer during the Winter Wonderland festivities. This year’s Winter Wonderland featured a dance floor with a DJ as well as assorted games such as a ring toss and ball toss through where one could win small toys and trinkets as prizes. 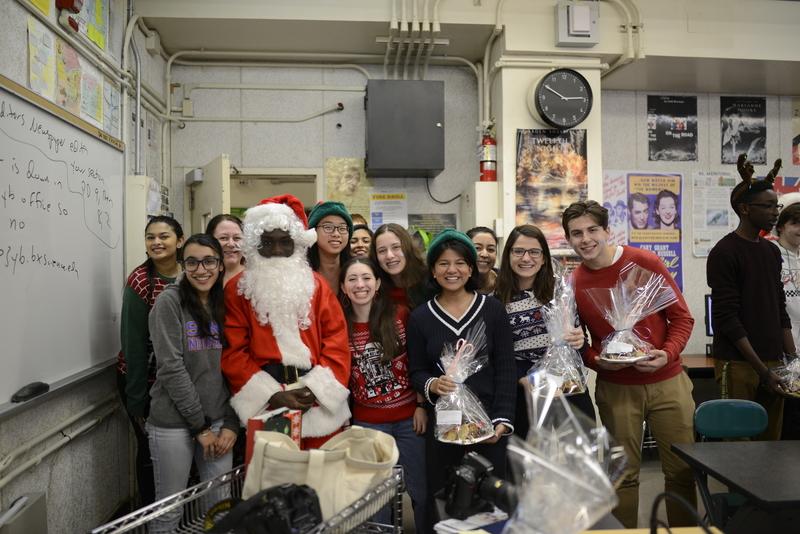 In addition, there were festive Christmas sweater contests and locker decorating contests during lunch periods. 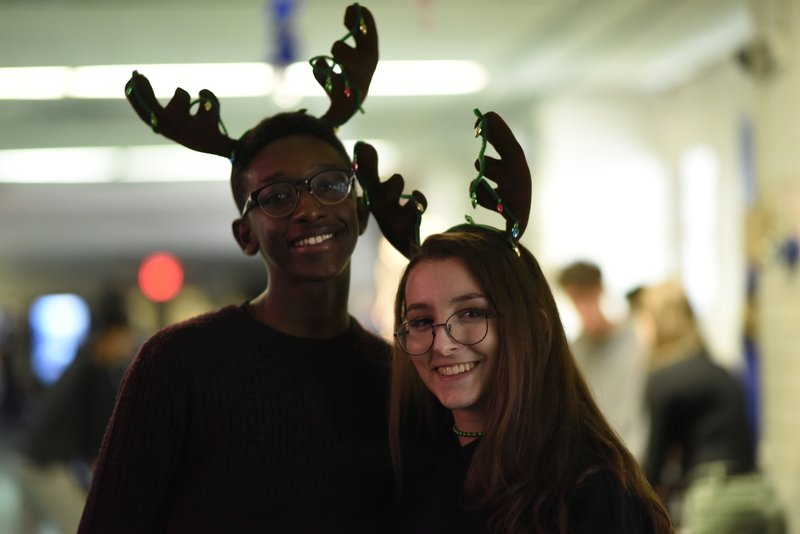 This year, Winter Wonderland was held at the end of the first semester’s Mental Health Week as a way to relax for the end of the year. Each lunch period had two winners for the festive Christmas sweater contest. One of the winners, Mary Tyrrell ’19, wore a sweater with bells and a star on top. She has always loved and decided to wear the sweater because she loves school spirit days. Many of the students enjoy this festive time of the year. 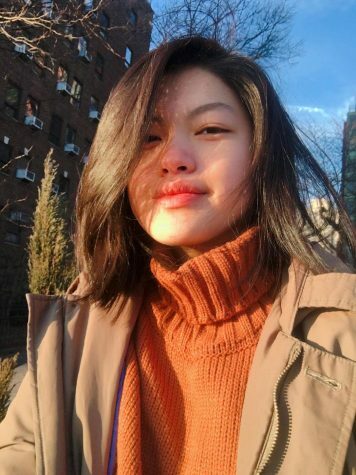 Pamela Li ’20 enjoys the yearly hosted Winter Wonderland because it is a nice way to end the school year before the holidays and the new year. The cabinet performed their yearly caroling around the school. 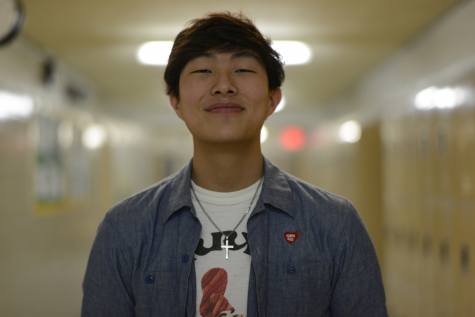 “As a junior, the games and activities alleviate stress from the classes that I tend to worry about. 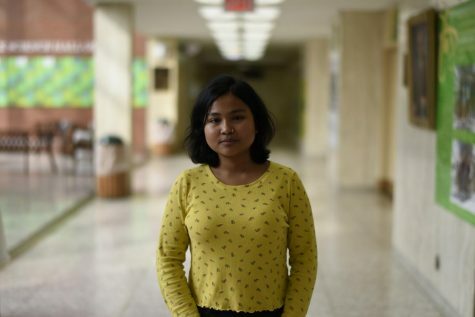 Getting to enjoy the Winter Wonderland right before a long break is the cherry on top of a cake,” said Li. Li Chai Epperson ’19 and Chloe Frajmund ’19 get in the Christmas spirit as they pose wearing reindeer antlers. 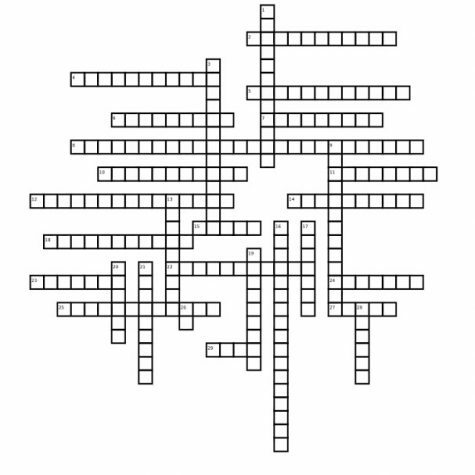 However, Li would like to see more games and activities in the future, as the stations are usually crowded and many students do not get an opportunity to play. Victoria Jung ’20 feels that it helps lighten the mood as she and her friends sing along to the songs played. “It makes me happier since everyone who’s singing is always in a happy mood whether they can sing well or not. I’m always smiling or laughing with my friends during these events,” Jung said. It is important to destress our mental health and spend time with friends and family. The Winter Wonderland is just of one of the many ways that Bronx Science is supporting these mental health initiatives.